The world seemed a little haywire tonight. 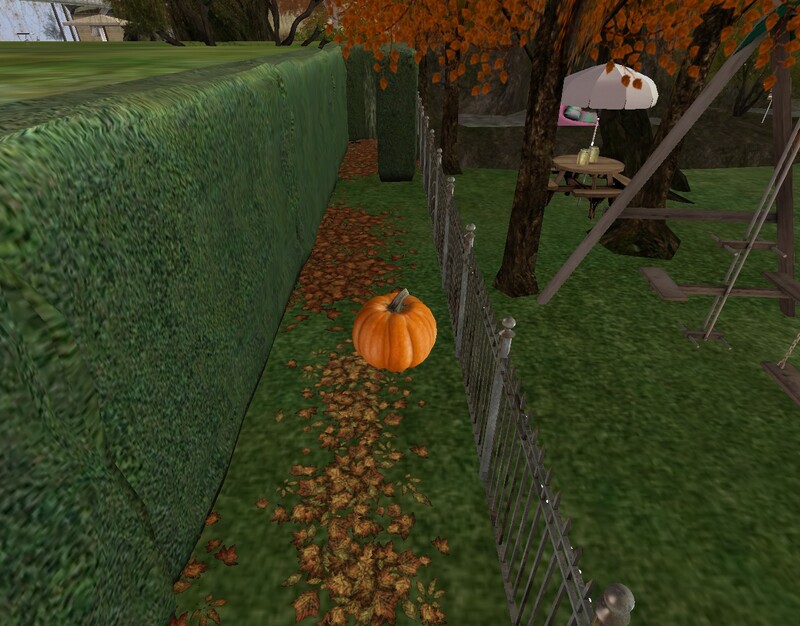 And Duncan was feeling a little stupid because the actual center of the Rhodenwald sim was *not* the pumpkin cart he thought before — and which the owner of the parcel was “hiding” behind when he first met him — but, still, this *orange pumpkin* between a playground fence and the outer wall of that hedge maze also mentioned in the last post. And the green dot representing this person on the map definitely *was* at the center. He thought… maybe he was wrong all along. But it also seemed a little peculiar that, night of all nights, Duncan finds anomalous plane objects in these particular Rhodenwald parcels owned by Black. Although they disappear quickly this time. Duncan wondered why Sid/Angus Nuffin moved to the table and away from the suave chair beside him he was sitting in to pull up the appropriate interweb pages. Had he finished with it? “Queer,” came Duncan’s simple response. It was all a bit overwhelming, especially adding in the Rhode synchronicities concerning the Meat City-Kamas UT overlap. Hidden mountain treasure? Was that what this was all about? Pot-D as gold seekers? The Diagonal itself as a red herring? Duncan tried but failed. “I– I can’t pull it up,” he admitted, embarrassed. That’s what we suspected, Sid thought, and had to show him a little later. Sugar House. The reason they brought Duncan Avocado into the club in the first place.